Henry Holt and Co. (BYR), 9781627792455, 40pp. A lyrical biography of E. B. 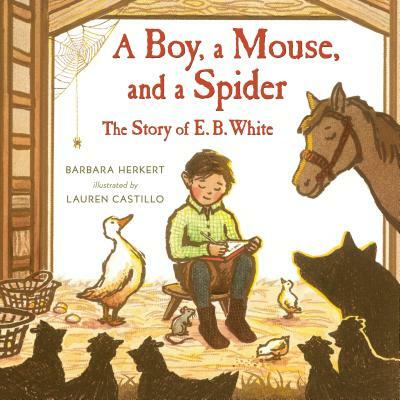 White, beloved author of Charlotte's Web and Stuart Little, written by Barbara Herkert and illustrated by Caldecott honoree Lauren Castillo. Barbara Herkert has her MFA in Writing for Children and Young Adults from Hamline University, and she studied art and art history at Oregon State University. She is the Illustrator Coordinator for SCBWI-Oregon. Barbara is the author of Mary Cassatt and A Boy, a Mouse, and a Spider--The Story of E.B. White.